Being the devoted oenophile that I am, it’s only natural that I receive e-mails from several different wine merchants all vying for my limited wine dollar budget. In this post I am going to examine the tactics used by three of these marketing mavens and explain why one is my clear favorite. The three wine stores approaches that will be outlined here are: HOPS N GRAPES, GLASSBORO, NJ, MOORE BROTHERS, PENNSAUKEN, NJ, and THE WINE LIBRARY in SPRINGFIELD, NJ. All three of these stores use a different internet approach to selling wine. 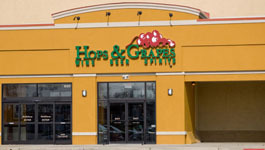 HOPS N GRAPES sends a daily e-mail featuring one wine for the day. You must print out the coupon and present it in store or you can order online for in-store pick-up. Limit on their offers is 12 bottles. There are no further discounts on case purchases. My problem with this marketing strategy is in several areas. First, the wine offered is seldom of much interest to me as I would say maybe 1 in every 20 catches my eye. For instance, Friday’s offering was the 2008 Two Hands, Brilliant Disguise, Moscato, Barossa Valley, Australia. Now Two Hands makes some pretty decent juice in a number of grape varietals but a Moscato is a “bubbly” or dessert=type wine and I very seldom drink them. Secondly, it sells normally for $15.99 and their offer price is $13.98. Virtually all of their offers are for 10 to 15% off and you would expect that type of discount on any case purchase anyway so, all in all, it’s not something that is ever going to appeal to me. 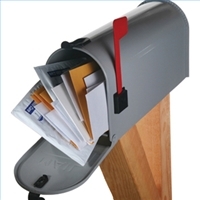 Additionally, there were times in the beginning when I would receive the e-mail for that day’s offering late in the evening with no time to get there had I been interested. This problem appears to now be corrected. In fairness, I have been in the store and spoke to employees who were busy filling orders on these daily specials so what do I know? 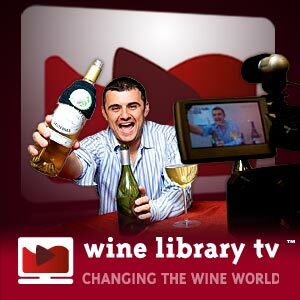 Gary Vaynerchuk runs a mega-wine operation in North Jersey called The Wine Library. His Wine Library TV has become an internet institution and his online tastings have brought him much fame and great wealth. There is little debate among his fans and critics alike that he has in the past few years displayed the talents of a marketing genius. 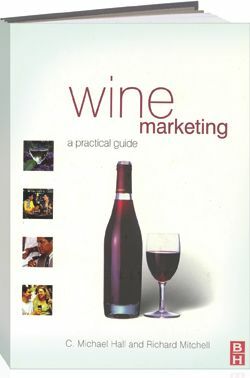 Let me just say in reference to the internet marketing strategy employed by the folks at The Wine Library, if you are a shut-in who wished they had more e-mails to read on a daily basis, do yourself a favor and subscribe to the internet mailing list for the Wine Library. You will find yourself busy most of the day just trying to keep up with the latest, “spectacular” “better hurry while supplies last”, “you won’t believe what we are offering next” sales pitch. Again, are some of them real values? Yes they are, but the sheer volume and absurdity of their approach with three, four and five “unbelievable deals” a day just wears one out after a while. Having made a couple of 90 minute trips up to their Springfield, NJ location I am actually underwhelmed by their selection. There are a lot of choices, there are a few “hard to find” wines, on occasion, but the vast majority, in my opinion are of the not so well-known variety which leads me to believe that because the buy in such huge volume they work out “special deals” with the wineries or distributors and then market these wines as “unusual savings opportunities.” Again, they are a tremendously successful operation but although I like and admire Gary V, I seldom “bite” on the many opportunities to buy. Wines like this terrific $14 blend of ripe Syrah, old-vines bush-trained Grenache, and mineral rich Mourvèdre have generated some of the most enthusiastic feedback we ever receive. And this one could be, dollar for dollar, the wine of the vintage. Everything you expect is here: exotic black fruit, lavender and graphite, fresh white tobacco and herbes de Provence. And then there is the secret to all of Xavier Vignon’s wines: the perfect, mouthfilling seasoning of saline minerality that comes from deeply rooted old vines. This morning there are twenty-eight cases at Moore Brothers New Jersey. *Regular price $16 per bottle. No further case discounts apply in this offer. I bought a few. This is the type of approach that appeals to me and I discovered a great, inexpensive Cote du Ventoux wine that works exceptionally well with food. It’s more of a soft sell, the urgency is there but it almost feels like “if it sounds good, it’s here for you”. They tell you how many they have and you can decide for yourself how soon you should get there. So there you have it. Three different approaches to selling wine on the internet. For all I know, each has been very successful for the individual operations. I just wanted to let you know the approach that works best for me. There are scores of totally different approaches. I subscribe to many of them and would have placed orders with several had it been easier to arrange wine shipments to New Jersey (that’s a story for another time)Remember, as with any opinion, your mileage may vary! The Pillar Box Red is from Australia and each year is a blend of Shiraz, Cabernet and Merlot. Some years are better than others but all of them are very good. A couple of years ago this was available for $7.99 but obviously the word got out and it’s now going for $12.99 in most stores (Circle Liquors has it for $10.99 (shhhhhhhhhh..don’t tell anyone). The Thorn-Clark Terra Barossa Shiraz is also from Australia and is loaded with lots of berry fruit flavors and usually sells for about $15.00. The Chateau Pesquie, Terrasses is a steal at $14.00 and is a delicious blend of 70% Grenache and 30% Syrah from the Cotes du Ventoux. It almost always scores 90 points from Parker and Wine Spectator. The Sainte Leocadie, Les Clauses is from the Minervois region of France, it is light and fragrant and matches up well with a wide variety of food items from pasta to beef. It usually sells for about $13.00 but I bought a case for $9 per bottle from the Wine Library in North Jersey after watching Gary Vaynerchuk, the marketing mastermind from Wine Library TV. Great Value!! I would simply add that if you are lost in a wine store with NO IDEA what to buy. It’s hard to go wrong with any Cotes du Rhone as they usually are priced very reasonably between $10.00 and $15.00 with a large selection to choose from. Do I have to tell you they’d be located in the section that reads “FRANCE”?? 2005 Green Lion, Napa, Cabernet is a Chris Ringland product. Chris is a talented winemaker from “down under” who makes a wide range of excellent wines under the “R Wines” brand. He is teamed with importer, Dan Phillips who carries the Grateful Palate lineup of wines. It’s a wonderful example of a Napa Cab that could sell for 2 to 3 times it’s $16.00 price tag. OK, there are 6 wines that should keep you heart-healthy and your thirst quenched. Enjoy! !